Hey, People: It’s ‘Do Not Go GENTLE Into That Good Night’! Everybody – especially the hardworking staff – has a breaking point on certain issues, and this one was ours. 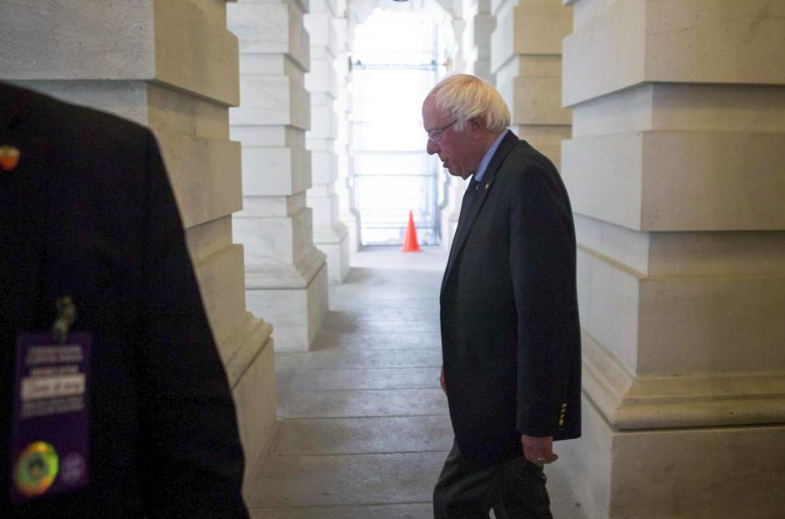 WASHINGTON — Bernie Sanders is not taking his revolution gently into that good night. The Vermont senator is executing an intricate endgame to the Democratic primary that he hopes will continue to inspire the 12 million voters who flocked to him, while drawing lines in the political sand that Hillary Clinton and other establishment leaders won’t dare to cross. Free the Dylan Thomas One! Despite his writing five times, do not go gentle into that good night, the vast majority of allusions to Thomas’s poem use gently. Rage, rage against the dying of the right (word). This entry was posted in Uncategorized and tagged Bernie Sanders, Boston Globe, do not go gentle, do not go gently, Dylan Thomas, Free the Dylan Thomas One!. Bookmark the permalink.